NOW it’s official. The UPA government has decided that the priority is to save the government and not the India-US civilian nuclear agreement. The Prime Minister, Dr Manmohan Singh, as well as Congress President Sonia Gandhi have made it clear that they will not pursue the nuclear deal to a point where the Left parties are provoked to withdraw support to the UPA government. EVEN if a generalisation is involved, a Supreme Court Judge’s remark that the Punjab and Haryana High Court and subordinate courts in Haryana have been disposing of second appeals in “a cavalier manner” is a serious charge which apparently is agitating the judiciary in the state. IT is not as if the “inconvenient truths” about global warming and environmental degradation are unknown to humanity. It is just that they have always been kept on the backburner all along. Now that former US President Al Gore and the United Nations’ top climate panel IPCC (Intergovernmental Panel on Climate Change) have jointly won the 2007 Nobel Peace Prize for the international campaign for action against this planetary emergency, the issue will, hopefully, become the top priority for all those who matter. SOME sections of our political class have expressed the fear that the Indo-US nuclear deal and enhanced cooperation with the United States will compromise India's sovereignty and result in India becoming a junior partner in the imperial order of the US. There is no need to argue that the US is the pre-eminent power in the world in economic, technological, military and agricultural terms. PUBLIC speaking is not my cup of tea. But when the invitation comes from a friend and there is an opportunity to see a state-of-the-art building thrown in, one is tempted to accept it. That is how I landed at Gual Pahari, half an hour drive from Qutab Minar on the Faridabad-Gurgaon road. UN Intergovernmental Panel on Climate Change chairman Rajendra Kumar Pachauri is a firm believer in what Mahatma Gandhi had said: “Always be the change you want to be.” It, therefore, comes as no surprise that all set-ups of The Energy Resources Institute, headed by 68-year-old Pachauri, are built and operated in such a way that energy conservation is maximised to the limit and the last drop of water saved. Digital music sales in the UK look set to receive a substantial kick over the next year as competitors such as Nokia up the ante in the battle anti-piracy software. Verdict Research estimates that legally sourced digital music sales will grow nearly 50 per cent this year to (pounds sterling)163m, a slowdown from growth of over 80 per cent in 2006. AFTER revamping the Congress organisational set-up, party chief Sonia Gandhi has reshuffled the editorial team of the party mouthpiece newsletter Congress Sandesh. Vasant Sathe is no more the magazine’s publisher. Sonia has also given marching orders to minister Mani Shankar Aiyer from the editorial board. These two names do not figure in the latest issue of the magazine. NOW it’s official. The UPA government has decided that the priority is to save the government and not the India-US civilian nuclear agreement. The Prime Minister, Dr Manmohan Singh, as well as Congress President Sonia Gandhi have made it clear that they will not pursue the nuclear deal to a point where the Left parties are provoked to withdraw support to the UPA government. The prospect of a general election, triggered by the stand-off over the 123 agreement, has disappeared with both Dr Singh and Mrs Gandhi proclaiming the ruling coalition’s intention to complete its full term. All that remains is for the Left-UPA mechanism on the N-deal to stop beating about the bush and formally end the so-called consultations. Dr Singh, who had set much store by the nuclear agreement, appears to have reconciled himself to the fact that his government cannot go ahead with the deal. He has expressed his disappointment over this but also said that he is prepared to move on. Developments, particularly over the last week, provided enough indications that the UPA would not do anything to precipitate mid-term elections over the nuclear deal. The Congress had finally got the message that the Left parties were serious about their ultimatum to withdraw support. And, if the Left walked its talk, then with the fall of the government, the agreement, too, would have fallen by the wayside. So why risk the government when the 123 agreement could not be carried forward anyway? And, there was no certainty that the Congress or other parties in the UPA would fare any better in the event of a general election. This logic was driven home deeper by UPA constituents such as the NCP, the RJD and the DMK, which were not prepared to risk an election for the sake of the nuclear agreement. Inevitably, the Congress had to climb down, which it has done with grace. There may be good reasons for this, including the option to go in for a general election at a time of its own choosing on an issue of its choice. EVEN if a generalisation is involved, a Supreme Court Judge’s remark that the Punjab and Haryana High Court and subordinate courts in Haryana have been disposing of second appeals in “a cavalier manner” is a serious charge which apparently is agitating the judiciary in the state. The judges should rather ponder what they should do to earn the confidence of the Supreme Court which they seem to have been losing for some time. Justice P.K. Balasubramanyan, in a judgement before his retirement, which The Tribune carried on the front page on October 12, 2007, said that in many cases that had come before the apex court for adjudication, the judges had failed to apply their mind properly. It may look unfair to make a sweeping charge against all the judges because there can be exceptions. However, there is no denying of the fact that the malaise is too deep-rooted to be ignored or overlooked. The quality of justice has declined in the Punjab and Haryana High Court and in its subordinate courts. In many states also, judges of the high courts and subordinate judiciary admit petitions hastily and give questionable rulings. One may recall how Justice S.N. Srivastava of the Allahabad High Court, in response to a petition in April this year, ruled that Muslims in Uttar Pradesh did not constitute a minority. The High Court overruled his order the next day and rectified the miscarriage of justice. However, by the way he handled the petition, Justice Srivastava did not earn public faith and respect for the judiciary. Worse, the Delhi High Court last week asked a lower court judge to return to the training school, saying he lacked “basic knowledge of criminal law”. Justice V.B. Gupta took Additional Sessions Judge Rakesh Tewari to task for having declined bail to a man accused of electricity theft even though the High Court had granted him bail. How could a lower court judge so blatantly disregard the High Court’s ruling and send him to jail? Judges are also violating the Supreme Court’s guidelines by liberally admitting public interest petitions. The suggestion for a code of conduct to check instances of judicial misadventure needs to be acted upon. The judges and the lawyers at all levels have to work harder and ensure that the people do not get substandard justice. IT is not as if the “inconvenient truths” about global warming and environmental degradation are unknown to humanity. It is just that they have always been kept on the backburner all along. Now that former US President Al Gore and the United Nations’ top climate panel IPCC (Intergovernmental Panel on Climate Change) have jointly won the 2007 Nobel Peace Prize for the international campaign for action against this planetary emergency, the issue will, hopefully, become the top priority for all those who matter. The urgency is absolute. Right now, irreversible changes are taking place, which will be rued by mankind for all times to come. It is a matter of special pride for India that the IPCC is headed by Dr Rajendra K. Pachauri. The Nobel going to an American and a UN body of about 3,000 experts headed by an Indian has a special significance. It will mean that the resonance will be felt in the developed as well as the developing world. The need to make amends is paramount in both segments. If the developed world has been mindlessly precipitating a climate crisis because of its profligacy, the developing world is doing quite the same because it has no options. For instance, if the US sends the carbon emission soaring through its never ending fleet of automobiles, India burns everything from dry leaves to cowdung as fuel without noticing what it does to the environment. What matters is that the people who were mindlessly playing havoc have now woken up, thanks to the efforts of climate warriors like Mr Gore and Mr Pachauri. It will be quite some time before the momentum that the wanton destruction had gathered will slow down. But the miasma of pessimism can lift. Mr Gore could not make it as President. But here is hoping that he will not fail in his global mission. Mr Pachauri on his part will, hopefully, motivate many more public-spirited Indians to apply correctives instead of lamenting what ails society. As the foremost power in the world, it also tries to throw its weight about and exercise its dominance wherever it can. That has been the record of all dominant powers in history and the US is no exception. The US legislators behave as though they have a right to legislate not only for the US but also for the rest of the world. During the bipolar era major nations like the UK, France, Germany, Japan and China accepted voluntarily the US dominance because of their security concerns caused by perceived expansionism of Soviet communism. The end of the Cold War and the collapse of the Soviet Union saw the US as the victor of the War and the sole surviving super power. The US leadership felt that it was their destiny to reorder the international system. But on the ground, the situation changed and a new international order started to develop. Since the Soviet threat was no longer there, major nations like China, West European countries and Japan did not need the US security umbrella. They, therefore, started to assert a good deal of autonomy. In the industrialised countries with families having only one or two children, there was reluctance to send their children into combat. The US and many other countries abolished the draft and switched over to voluntarily enlisted armed forces. Above all, the conditions of military occupation changed. During World War II the Nazis were able to terrorise the populations of the occupied countries and ensure that war production was sustained in occupied countries. In today’s world, as demonstrated in Vietnam, Afghanistan (1980-89 and again from 2002 onwards) and Iraq it is no longer possible for an occupying power, however powerful it may be, to terrorise people to an extent to make occupation to be continued at acceptable costs. For these reasons though the US has no single countervailing power like the Soviet Union during the Cold War, it is today a constrained hegemon. The US establishment acknowledges that the international system today is a balance of power and not that totally dominated by a sole super power. This is seen in a number of developments in the world. The most loyal allies of the US during the Cold War have disagreed with the US policy on Iraq. France and Germany refused to go along with the US. Turkey refused to allow US forces to use its territory for Iraqi invasion. Japan has established a formal defence ministry and there are discussions in that country on the wisdom of total reliance on the US for its security. The South Koreans, too, from time to time have disagreed with the US on the strategy to handle North Korea. Those European countries which sent forces to Iraq are now cutting back on them. While US legislators thunder about other countries having to fall in line with their policy on Iran, Iraqi Prime Minister Nur Al-Maliki visits Teheran and hugs Iranian President Ahmedinejad.President Karzai of Afghanistan publicly disagrees on the television with President Bush on the Iranian issue. Pakistan proceeds with its negotiations on the Iran-Pakistan pipeline.Turkey threatens to take retaliatory action if the US Congress were to pass non-binding legislation on the alleged “Armenian genocide” during the Ottoman period. The bullying US legislators, knowing how badly they need the friendly relationship with these countries, keep quiet. The US is aware that its pre-eminence vis-à-vis the rest of the world is steadily declining. There are serious forecasts that China will overtake the US in terms of gross national product calculated in purchase parity terms in the next three or four decades. Already the US dollar is under pressure from the European Euro. European Airbus has wrested half the civil airliner market from the US. Europe is putting up its own Gallileo satellite system. Russia is matching up with the US in terms of nuclear missiles and nuclear submarines. As other powers grow rapidly, the US share in terms of global product and trade will shrink and, therefore, other balancers of power in the world are interested in India's fast growth and also in those of Brazil, South Africa and Mexico. Though the US may spend half of world's military expenditure, its ability to launch offensive operations and occupy other countries is very limited as demonstrated in Afghanistan and Iraq. Its ability to impose economic sanctions is limited since it cannot be certain that it can carry with it other major economic players in the international system. This is extremely unlikely in the present situation. India has a record of safeguarding its national interests at a time when the US was the dominant super power leading Western Europe, Japan and China. At that time India was weak, economically, politically and militarily. Today India's strategic partnership is sought not only by the US but also by Russia, the European Union, Japan and China. India is today a nuclear weapon state, a missile and space power, an IT power and is growing at 9 per cent. Therefore, it is puzzling why some sections of our political class are terrified of India’s sovereignty being compromised by the Indo-US nuclear deal. That would tend to show a lack of adequate understanding of current international realities and an obsession with images — not the reality so far as India was concerned — of the Cold War era. It would also indicate a total lack of self-confidence, which is essential if India is to grow fast. There appears to be fear among such people to interact with the rest of the international community. The Soviet Union and China, during the days of their isolationism, could not grow fast. They started growing fast only after they became effective members of the international community. They had no fears of interacting with their erstwhile adversary — the United States. Why then should India be afraid of? As the name suggests, it was a God-forsaken place. Wild plants grew thick in the area. The Tata Energy Research Institute, as Teri was known then, had a huge plot of land which had not yet been developed fully. In the middle of the plot was the new building where the conference was to take place. Teri had already drawn up a plan to develop the plot into a ‘Retreat’ where environmental researchers, academicians and experts from all over the world could come, stay and work in its idyllic, peaceful atmosphere. Since I had some time on hand, my host willingly took me around to explain the salient features of the ultra-modern building. The building had neither gigantic size nor architectural grandeur to arrest the attention of a visitor. Yet, when I stepped into the building, I realised why it had already become famous. The rooms were all lit so naturally that I looked up to check whether there was any roof at all. Switching on lights during daytime was not just banned; it was just not necessary. Despite the abundance of sunlight inside the rooms, they still remained cool, thanks to the special air-conditioning system in place. Day or night, the building remained uniformly cool at around 25 degree centigrade. The air-conditioning system did not consume much power, nor emit noxious gases. It also did not make a hole in the ozone layer. A comfortable temperature was maintained by circulating naturally cooled air, supplemented, when necessary, by a system of chillers for dehumidification and additional cooling. The concept was based on the fact that underground cellars are usually cooler in summer and warmer in winter just like tubewell water is cold during summer and warm during winter. Photovoltaic panels were employed to heat water and charge battery banks. Energy-efficient compact fluorescent lamps were used, instead of normal incandescent bulbs. Even the large conference hall, which could accommodate 100 people, was well appointed with a sophisticated public address system. It remained cool even in the hot summer that I had gone there. This was achieved in part by ammonia-based absorption chilling. A lot more can be written about the building which had equally impressive waste-disposal and waste-water recycling systems. The building consumed at least 50 per cent less energy than a similar conventional building. Many of the ideas of the late Lauri Baker, who believed in low-cost, environment-friendly architecture, were liberally used in its construction. The Energy and Resource Institute, as Teri is now called, believes in the concept “energy saved is energy produced”. In fact, it was to find ways to reduce the country’s dependence on non-renewable sources of energy that Teri was set up in 1974. Today the building in question is a benchmark green building, the idea of which has spawned many such constructions, including Teri’s own office complex in Bangalore and Mukteshwar. What’s more, the success of the Retreat encouraged Teri to introduce the “Teri-Grih” rating system to evaluate green buildings for which builders and architects from all over the country compete every year. For the recipients of the “Teri-Grih” recognition, it is as prestigious as the Nobel for Peace that the Teri founder-chief, Dr R.K. Pachauri, has just won for the Intergovernmental Panel on Climate Change. It, therefore, comes as no surprise that all set-ups of The Energy Resources Institute (TERI), headed by 68-year-old Pachauri, are built and operated in such a way that energy conservation is maximised to the limit and the last drop of water saved. After all, energy conservation and reducing green house gas emissions is the core mantra of Pachauri-led IPCC’s recommendations to save the world from global warming and climate change. In his fifth-floor office in Darbari Seth Block of the India Habitat Centre complex in New Delhi, lights are switched on when required. So, even if he is in the office late in the night, answering e-mails, pouring over the pile of findings from academicians and scientists or attending to calls from world over to build consensus, the only light switched on is in the corner of room he is sitting. Lights are not meant for illumination is the reason he feels. He is deeply anguished when he sees the affluent India consuming more energy than required. “Unfortunately, the affluent India is totally divorced from the reality of climate change and poverty,” he says. He believes that each contribution towards energy conservation works and has made it mandatory for everyone at TERI to switch off lights when not needed. It is a discipline that his colleagues at TERI take great pride in following. Another discipline has been his belief in vegetarianism. Though himself a vegetarian, he has no problem with those who prefer to be non-vegetarians. His only plea to them is to try and cut down on meat consumption as the entire process of meat-eating — from slaughtering to packaging to the time it reaches on the dining tables — is extremely energy consuming. When he is not globetrotting to issue characteristically plain, hard wake-up calls to the world to the ravages of climate change, his TERI office works on a completely open-door policy. This is something everyone, whether it is TERI executive director Leena Shrivastva or manager (corporate communications) Rajiv Chibber or anyone down the line will all vouch for. To his TERI colleagues, Pachauri is a warm human being and an accessible boss, but very demanding in work and commitments. “He believes very strongly in India and its potential. He also has enormous faith in the younger generation. He has been a guide, mentor, supervisor to me, and everyone working with him. In fact, he has been responsible for providing a growth platform to a large number of people. He believes that if you want to do it, you can; you just have to be passionate about your call,” his second-in-command Shrivastava says. Besides climate change, another field that excites him is cricket. Being passionate about the game is something that this former Ranji Trophy player continues to be till date. “In our last corporate cricket match, he took three crucial wickets. He has more than 300 corporate wickets to his credits,” says Chibber. While the country is celebrating the fact that the IPCC led by an Indian has won the prestigious prize, there is this miniscule number who may like to contend that it is the organisation and not the individual who has won the prize, and the attention that Pachauri is receiving is somewhat misplaced. After all, the IPCC is not about one man alone. The panel comprises about 3,000 atmospheric scientists, oceanographers, ice specialists, economists and other experts who have worked painstakingly to prepare reports and build a consensus in member countries. 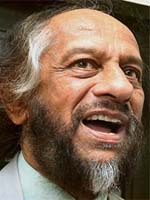 Today, Pachauri has virtually become the face of the IPCC. To his colleagues, it comes as no surprise that he should be the one receiving congratulatory calls from Prime Minister Manmohan Singh, his Cabinet colleagues, diplomats and the co-sharer of the award, former US vice-president Al Gore. “He has been part of the IPCC since the beginning. He is the embodiment of the panel. Though the IPCC does not have any physical entity, Pachauri reflects the entire scientific community,” says Shrivastava, to whom the award is the reflection of Pachauri’s commitment towards the IPCC. Chibber, who has seen him spending sleepless nights and working 18 to 22 hours, pouring over findings and building consensus, says it is Pachauri’s style of functioning and diplomacy that made member countries reach a consensus on global warming and climate change. “It is his diplomacy and networking that has brought the IPCC to new heights and into the limelight,” he says. The IPCC was founded in 1988 to investigate the risks of global warming by the World Meteorological Organisation and the United Nations Environment Programme at the time, when no one really understood the concept of climate change. When Pachauri was announced as the next IPCC chairman, Al Gore criticised his candidature for the post calling him “the ‘let’s drag our feet’ candidate.” Clearly, that was the past. On Friday, Al Gore and Pachauri congratulated each other, promising to work together. Things have changed and so has the way climate change is understood by the world. And a fair amount of that can be safely credited to this scientist-economist who has two Ph.Ds to his credit — one in economics and the other in industrial engineering. To acknowledge his contributions to the field of environment, he was awarded the Padma Bhushan in January 2001. Among the other awards he received include “Officier De La Légion D’Honneur” by the Government of France in 2006. Digital music sales in the UK look set to receive a substantial kick over the next year as competitors such as Nokia up the ante in the battle anti-piracy software. Verdict Research estimates that legally sourced digital music sales will grow nearly 50 per cent this year to (pounds sterling)163m, a slowdown from growth of over 80 per cent in 2006. However the research company said it expects the legitimate digital music market to continue to grow rapidly over the coming years as the likes of Nokia and HMV challenge Apple's dominance. It expects the market to be worth (pounds sterling)600m by 2012, accounting for over 13 per cent of total music and video sales, compared with 4 per cent this year. Apple's iTunes has around 80 per cent of the digital download market but is steeling itself for an onslaught of competition from retailers such as HMV and Woolworths as well as the emergence of the mobile phone giant Nokia as a serious contender in the online music space. David Pakman, chief executive of eMusic, which is the second largest digital music store, said that the move by some music majors to test the water for digital music that is unencumbered with anti-piracy n or DRM n software could also kick-start substantial growth. 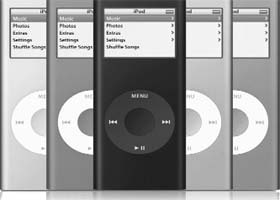 It is telling that DRM-encrypted songs which limit how a consumer can use the music accounted for only 10 per cent of the 20 billion songs downloaded globally in 2006. Yet some analysts argue that digital music is still a long way off being the panacea for the industry's troubles. Mark Milligan, an analyst with Jupiter Research, said: "People that buy music online are only grazing. When they start using digital services, they tend to spend less, not more." He said the 80 per cent of people who do not buy music regularly would traditionally buy a few albums a year but can now cherry-pick a few tracks. Meanwhile "music aficionados" who spend upwards of (pounds sterling)70 a month on music have started subscribing to cheaper online subscription services. "Unless the business model fundamentally changes, digital won't be the saviour of the music industry," he said. The reason for Aiyer’s removal was his irregular attendance at editorial meetings, while Sathe’s ouster was partly due to his advancing age and his freewheeling remarks, which often went contrary to the party line. In a letter to the staff, Sonia emphasised for further efforts to make the party mouthpiece more interesting and rich in content. Congress Sandesh is set to go up from 1.5 to 2 lakh, thanks to 50,000 new subscriptions sent by the Rajasthan Pradesh Congress Committee. However, Congress managers are not really talking about it. Surprisingly, some time ago, the circulation had suddenly jumped to 2.5 lakh and as usual Congressmen got so excited in proving their leadership ability by enlisting thousands of new subscribers during the party’s membership drive. The paper cost is much less than the production cost; the party guys were thrilled to see such a huge response to the Congress’s paper. But treasurer Motilal Vora was very upset, as thousands of copies came back because the postal addresses of the subscribers were found to be fictitious. It so happened that the Congress leaders had bought the subscriptions under fake names and addresses to prove their political mettle and get brownie points. Sonia learnt Hindi, and that too quite fluently. And sure she has come a long way. Naveen Patnaik is still struggling to learn his native language Oriya! So, times are changing. Now former Andhra Pradesh chief minister has got his son’s tutor to teach him hain with app; and ho with tum. Naidu has decided to take a leaf out of the book of his father-in-law, the late N. T. Rama Rao. NTR had a Hindi tutor and many lessons later, he even delivered speeches in heavily-accented Hindi. The sudden linguistic aspirations have got little to do with love for the language per se but are punctuated with political wishes. His lack of knowledge of Hindi made him missed out not only on the musings of Mulayam Singh Yadav and others of the Hindi heartland but also most of the proceeding in Parliament. A Hindi lesson everyday for one hour as his deadline is to read and speak the language by the year-end. Naidu started his political career when the Dravidian movement, with its anti-Hindi stance, was going strong. Learning Hindi was almost taboo. How the times are changing.